After meeting a number of professional, experienced cultivators from across the globe, the founders of CBD Seeds decided to start their own collection and began sourcing feminised seeds from high quality cross breeding varieties. Then, they recruited technical personnel, graphic designers and webmasters to join their team and create CBD Seeds as a brand. The founders have never wavered in their aim to offer classic varieties of cannabis in their original form, while also aspiring to become a reference in terms of product quality, design, technical service and after-sales service. The first step of the CBD Seeds project was to collect a classic line of genetics. The breeders wanted to find strains that for a long time were considered legend in the industry. So if you are an old school aroma and taste enthusiast, prepare yourself for a special experience. After developing the classic line, the next step was clear. CBD Seeds analysed the situation of the European market and discovered that there was a high demand for autoflowering varieties. The breeders decided to start the arduous task of sourcing and creating autoflowering versions of their already popular feminised strains. What transpired was a phenomenal collection of automatic seeds. However, it the original feminised strain collection that has transformed CBD Seeds from seedbank start-up to genuine player in the competitive European market. At CBD Seeds, all products pass an exhaustive quality control test before being packed and distributed. The containers that hold the seeds are closed with an assembling cap which prevents ambient humidity. Immature seeds are discarded along with ribbed seeds ensuring that every customer receives their products in near perfect condition. 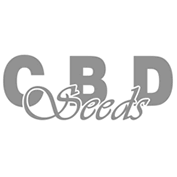 CBD Seeds see these practices as essential requirements for a top quality product. You can buy CBD Seeds incredible library of feminised strains directly from Seedsman today.